Refurbishment and renovation of Listed Buildings , specialising in Sash Windows and Yorkshire Sliders(lights) , Porches and exterior woodwor. Robinson's joinery bring you the finest in bespoke furniture design and build. Providers of commercial, industrial & retail space planning solutions across the East Midlands and the UK. Investing in bespoke furniture, perfectly designed to fit your space or complement your style might seem a real luxury, but it’s an investment you are unlikely to regret. 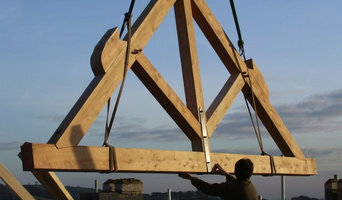 Carpenters and joiners are true craftsmen, highly skilled at working with wood. The range of jobs a Nottingham, Nottinghamshire carpenter or joiner might do for you is almost limitless, whether producing made-to-measure pieces of home furniture and bespoke joinery or woodwork, or working on larger construction projects. You might want to employ your carpenter in Nottingham, Nottinghamshire for everything from constructing a roof frame to architectural trims, from building a wall-to-wall bookcase to crafting a bespoke kitchen table, and from designing a one of a kind balustrade to building open shelving in the kitchen. They can also add a special artisan’s touch to normally incidental items such as door frames, picture frames and panelling, or fashion storage solutions in normally unused spaces such as under the stairs or in alcoves and niches. Essentially, Nottingham, Nottinghamshire joiners and carpenters can cope with all sorts of woodwork and bespoke joinery in Nottingham, Nottinghamshire, install it in unusual spaces and dimensions, and also instil your home with real handmade quality. When deciding whether to employ a joiner or carpenter in Nottingham, Nottinghamshire, it is best to pick your professional according to their experience on projects similar to your own. For example, installing bespoke joinery such as a staircase involves significant structural work and you might want to work with a carpenter in Nottingham, Nottinghamshire with considerable experience in bespoke staircase joinery. You will often find you need to employ both a carpenter and joiner on a single project, and some firms will offer both skillsets which can simplify your overall hiring process. 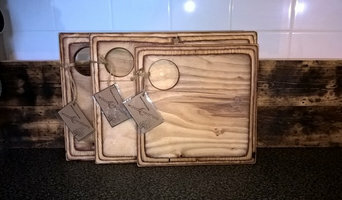 Where can I find a good Nottingham, Nottinghamshire carpenter or joiner? 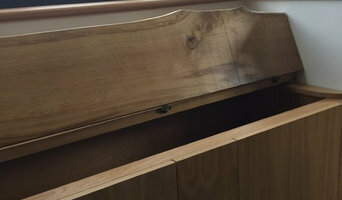 On Houzz there are many professional Nottingham, Nottinghamshire carpenters and joiners that specialise in providing a full carpentry service or bespoke joinery in Nottingham, Nottinghamshire, whether dealing with fitted or freestanding, traditional or contemporary furniture. Simply search for a joiner or carpenter in Nottingham, Nottinghamshire in the Find Pros category, then add images of designs that you like to an Ideabook and contact those on your shortlist. If you need reassurance beyond photos of their work and reviews of previous clients, then you might check to see if the carpenter or joiner is a member of The Institute of Carpenters (IOC), The Guild of Master Craftsmen, the British Woodworking Federation (BWF) or the Federation of Master Builders (FMB). Each asks its members to meet a certain level of expertise and abide by a code of conduct. Have a face-to-face consultation – basic brief and image references in hand – see which joiner or carpenter in Nottingham, Nottinghamshire is the easiest to get along with and who best understands what you’re trying to achieve. How long have you been a joiner or carpenter in Nottingham, Nottinghamshire? 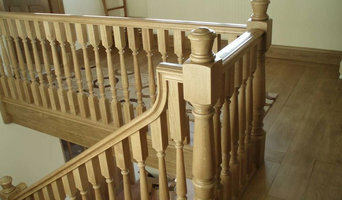 Do you offer bespoke joinery in Nottingham, Nottinghamshire as well as standard carpentry? Find a carpenter or joiner on Houzz. Narrow your search in the Professionals section of the website to Nottingham, Nottinghamshire joiner and carpenter professionals. 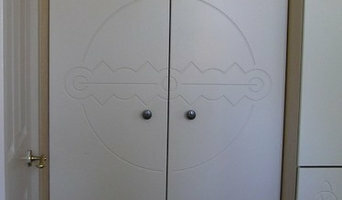 You can also look through photos of woodwork and bespoke joinery in Nottingham, Nottinghamshire by style to find a design you like, then contact the joiner or carpenter in Nottingham, Nottinghamshire that worked on it.